Louis Garneau's Matrix 2.0 Balaclava features a multi-zone construction to optimize protection and breathability without adding seams. This design is thin, stretchy, and the perfect accessory for cold winter riding. One size. 77% nylon, 13% polyester, 10% spandex. This does a nice job blocking the wind and is surprisingly warm for how thin the material is, I've worn it in the low 30's with no problem. 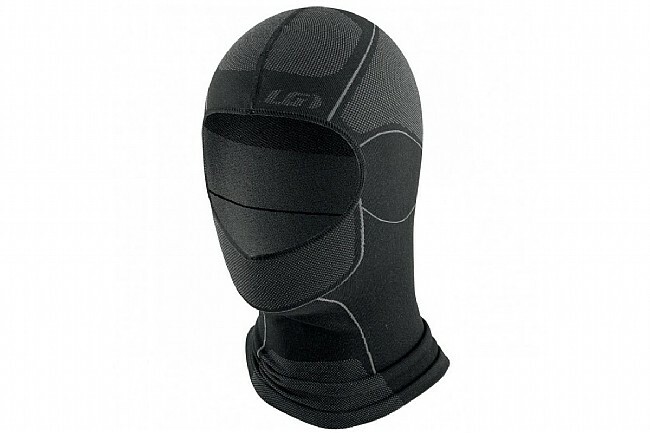 Comfortable, thin and light weight balaclava! !